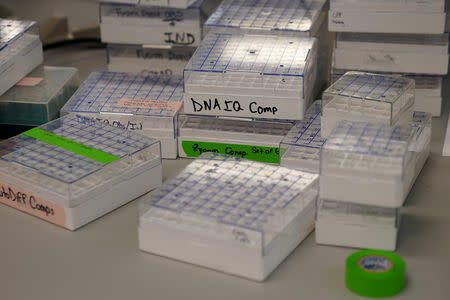 NEW YORK (Reuters) - A breakthrough in DNA analysis is helping identify more victims of the Sept. 11, 2001, attacks in New York, but the scientific advance is of little consolation for families of those whose remains may have been buried in a Staten Island landfill. The official death toll in the attacks on lower Manhattan's World Trade Centre is 2,753, including the missing and presumed dead. Only 1,642 of them, or about 60 percent, have been positively identified. 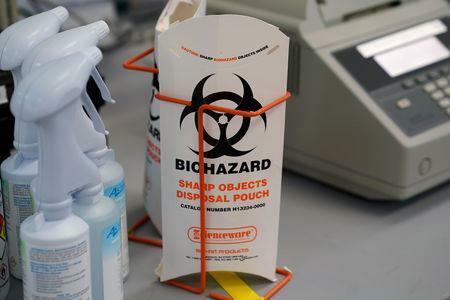 The New York City Medical Examiner's Office has worked for 17 years to identify the remaining 1,100 victims. 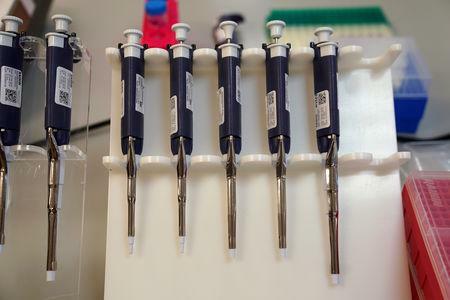 Using advances in DNA extraction techniques over the past five years, it has made five more identifications. The advances have been bittersweet for 9/11 families who unsuccessfully fought to stop the city from making a park out of Staten Island's enormous Fresh Kills landfill, where 1.8 million tons of Twin Towers debris was dumped and buried. "We are grateful that the identification continues, but there is more material that could have been part of that had the city not been so cavalier with us," said Diane Horning, who led a failed court battle by a group called World Trade Centre Families for Proper Burial that hoped block the park project. Horning led the group, although her son Matthew was one of those identified early on. Matthew, 26, a database administrator for an insurance company, was working the 95th floor of the North Tower when the planes hit. New York's Second Circuit Court of Appeals found in 2009 that accusations that the city had mishandled the remains at Fresh Kills amounted to "lack of due care," which was not sufficient to successfully sue the city. New York officials said at the time that the city did not intend to be insensitive or offend victims' families. To create the park, Fresh Kills Landfill was covered with layers of soil and other materials to prevent the release of toxic gas from decomposing trash into the atmosphere, according to the Freshkills Park Alliance, New York City’s nonprofit partner in developing the park. Charles Wolf lost his wife Katherine on September 11 and her remains have not been identified. If they are in the sealed landfill, he considers it "God's will" and he is "at peace" with it. The ability to identify more victims is the latest chapter in a saga of pain that began on the morning of Sept. 11, 2001, when two airliners crashed into the Twin Towers of the World Trade Centre. Destruction of the Twin Towers was part of the coordinated hijackings of four airliners by al-Qaeda militants that killed nearly 3,000 people in New York, Washington and western Pennsylvania, where one of the planes crashed in a farm field. The attacks triggered an escalation of U.S. military involvement in the Middle East that persists to this day. A scientific breakthrough in the extraction of genetic material was made this year and announced by the New York City chief medical examiner last week, as the 17th anniversary of the attacks approached. The new technique places bone fragments in a chamber containing liquid nitrogen to make them more fragile so they can be pulverized into fine powder. The more a bone is pulverized, the more likely it becomes to extract DNA. It is the latest effort in the largest forensic investigation in U.S. history, involving a medical examiner's team of 10 scientists working on remains once thought too degraded from jet fuel, heat and other conditions to undergo testing. "We're going back to the same remains that we've tried five, 10, 15 times," Mark Desire, who heads the Medical Examiner's crime lab, said in the briefing last week. Wolf, who was not among those who opposed the Freshkills Park project, was gratified by the renewed effort. "It warms my heart that possibly there will be remains found for people who still want them," he said.